The fourth installment in Disney's Pirates of the Caribbean franchise sails into theaters this May. This go around, it is JAKKS Pacific at the helm of the merchandising. JAKKS will roll out their first assortment of 6-inch Pirates in March. 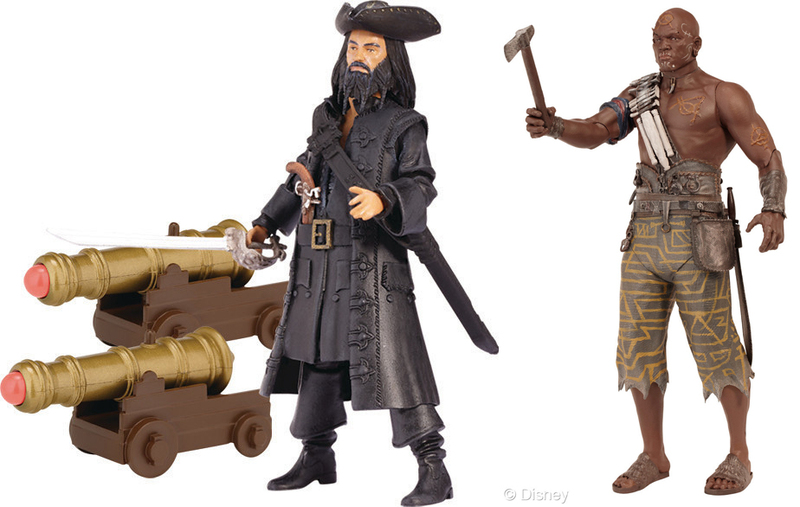 Series 1 is slated to include Jack Sparrow, Blackbeard, Barbossa, Angelica and Gibbs. JAKKS also plans a series 4-inch figures with a Zombie Reveal action feature. Place the figures under a black light and watch as their ghoulish alter-egos reveal themselves. 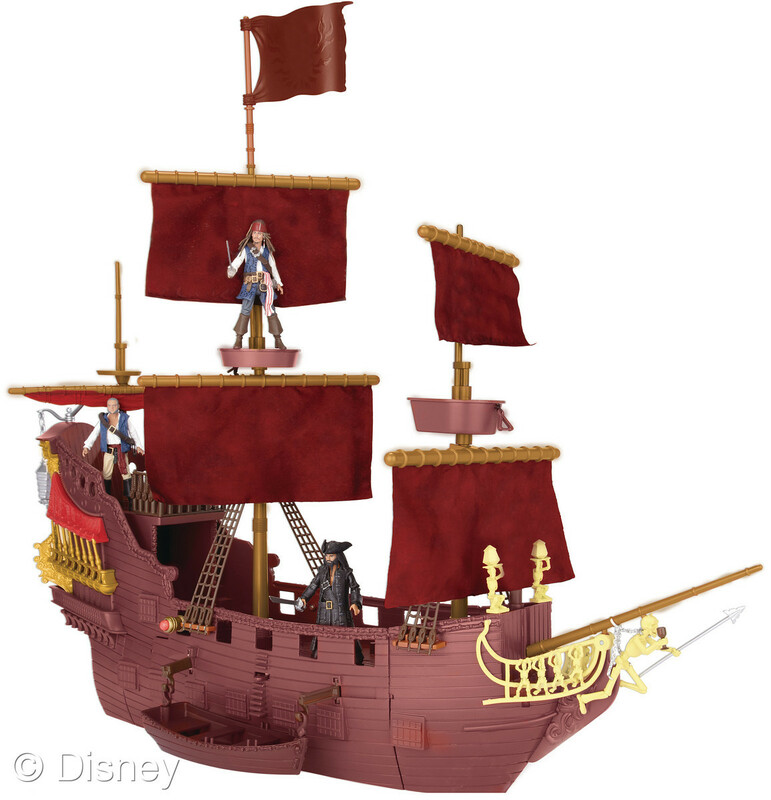 Queen Anne's Revenge - You’ve never seen Blackbeard’s ship like this before! Authentic cloth sails, a retractable crow’s nest, canon with working projectile and launching deck makes for fun and adventure-packed action on the high seas! Once you capture your rival, use the retractable plank walk and send him to his doom! Midsection opens for inside play; detachable longboat also included.